For June, ANIMEfringe proudly presents a special feature story about the history of Mixx Entertainment. It's a big 4-parter loaded with illustration and detail. If you ever wanted the straight story on the whole Mixx mess, get it here. 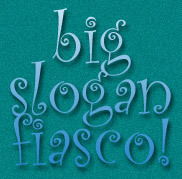 And speaking of chaos, we also have a lovely collection of stupid would-be slogans for our fine webzine that's sure to make you laugh at least a little bit. ^_^; Have fun! Mixx Entertainment, the company that owns the rights to some of the most loved manga series of all time has experienced more ups and downs since 1996 than most businesses experience in a lifetime. ANIMEfringe proudly presents Full Circle: The Unofficial History of MixxZine, the four part story of the company's birth, the magazines they released, and the trials they have endured, leading into their fourth year of bringing the hottest Asian entertainment to North American masses. Last month, we reported that the Anime News Network (http://www.animenewsnetwork.com/) had gone offline and was brought back shortly thereafter. Things only became worse for the 2-year old ANN, which had recently gained an affliation with IGN and was undergoing a graphics and layout change. On May 8, 2000, ANN Editor-in-Chief Justin Sevakis posted a message to the ANN Web Board titled simply, 'Goodbye.' In the message, he stated that "This will be my last post here. After seeing how poorly last week's outage (which WAS the result of failing to pay the bills) was handled by ANN's new "management", I am leaving my creation in utter disgust. Note that despite being resurrected, the news has STILL not been updated." Amid the venting and pleading for the administrators to e-mail him, Justin goes on to talk about the current events in his life such as his new column, "The Digital Otaku," at DVDFile.com and his editing job on SciFi.com's new Anime Colony web site. He also gives hints that he is "working with a new potential distributor of anime." Ironically, the message received scarce response and it wasn't until this fact was pointed out on the message board that a series of messages appeared, offering to keep the wasteland that is the ANN website, or at the very least the ANN Web Board, alive. 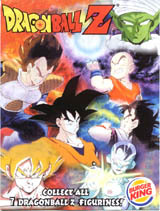 During the month of June 2000, participating Burger King restaurants will feature DragonBall Z premiums in the Kid's and Big Kid's Meals. Amid the food products you will find one of seven silver and black colored action figures featuring Gohan, Piccolo, Frieza, Vegeta, Krillin, Goku, and Super Saiyan Goku complete with name-plated, light-up stands. The figures also come with a Score DragonBall Card Game card and an offer for an Exclusive FUNimation DragonBall Z video featuring two episodes that have not been released in North America yet. The video can be redeemed with seven video order forms and a check or money order (US dollars) for $3.99 to cover shipping and handling, or you can pay $8.99 (5.00 plus $3.99 s&h) and only have to send one card to get the video. These premiums are definitely high-class collectibles that are meant to be displayed. Getting hungry yet?